The Finnish Air Force, Ilmavoimat, has begun it’s largest exercise of the year, the Ruska 17, today. Exercise focuses on training an integrated air-defense force to fight against an unnamed peer-level adversary. It involves everything from base security and logistics to the advanced command centers and fighter jets. The Ruska 17 will include roughly 5100 conscripts, reservists and professional soldiers, 30 Boeing F/A-18C/D Hornet fighters, 14 BAE Hawk trainers, CASA C-295M transports, Pilatus PC-12NG and Learjet 35 A/S liaison aircrafts from the Finnish Air Force. Additionally the Finnish army will provide some troops and an unspecified number of the NH-90 helicopters. The Swedish Air Force is participating in the annual RUSKA-series of exercises for the second time. In 2016 Swedes operated as an aggressor unit and the two air forces fought each others over the skies of Finland. This year, for the very first time, Swedish Flygvapnet joins the Finnish Ilmavoimat and both train together to defend the Finnish airspace against a hostile air force. Earlier this year the Finnish air force, together with the army and navy, participated in the Swedish Aurora17 exercise. The Swedish Air Force brings its Saab JAS 39C Gripens to the fight. While the Gripen is an extremely capable aircraft and the sheer number of the fighters Sweden can provide, will allow a much wider fighter coverage than what would be possible with only the 64 Finnish Hornets, the real force multiplier Sweden brings to the table is the Saab 340B AEW&C Aircraft. 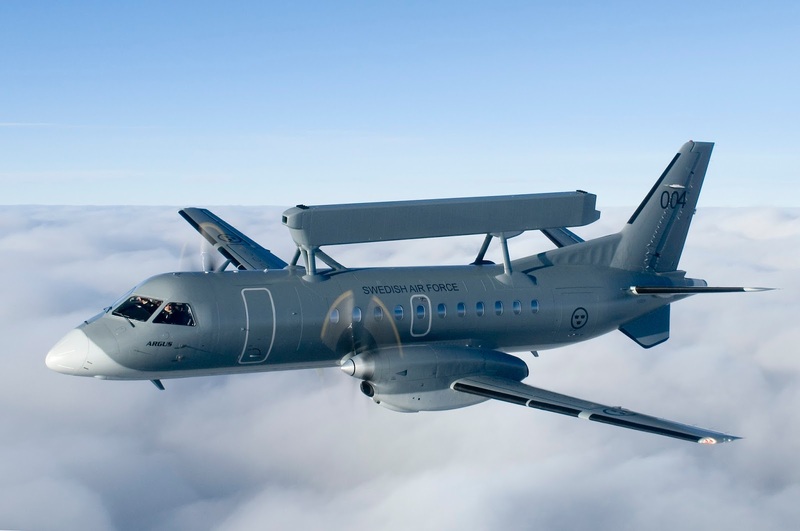 The Saab 340B and its Erieye AESA radar can provide information about enemy movements over 400 km away. The enhanced situational awareness gives a defending air force significantly more time to scramble and position it’s fighters for an intercept. The Erieye is a capability that Finland desperately needs, but can’t afford to buy in the foreseeable future. Both the Finnish and Swedish aircraft will operate from dispersed airfields and at least one road base. The Vieremä road base was established during the Baana 17 exercise last week. Here is a cockpit video from a BAE Hawk doing a touch and go on a highway. This dispersed fighting style has been a trademark of the Ilmavoimat since the 1930’s and the Flygvapnet has also employed it extensively. Operating so close to a hostile force, that has the ability to attack the air bases with cruise and ballistic missiles it’s imperative to use all available means to enhance the survivability of the combat aircraft and the vital support systems. 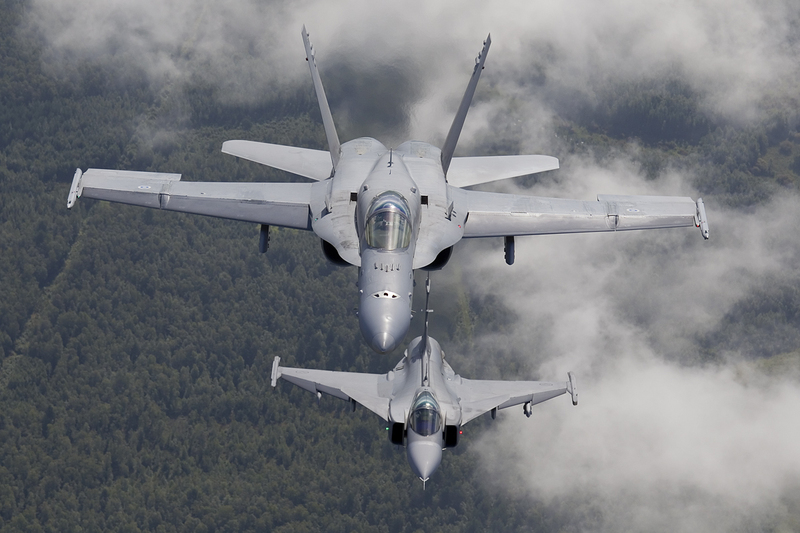 The Finnish Air Force has also just sent a request for information (RFI) to seven nations regarding the weapon systems for the successor of the F/A-18 Hornet. At the moment it seems that the competition for the new fighter is on schedule and the air defense of Finland will continue to improve in the future. Disclaimer: This exercise was scheduled over a year ago and all neighboring nations have been informed about the training area and participating units well before the drill started. Very much unlike the Russian snap drills happening nearly weekly. Do you want to know about the military of the US? Then you should visit our site. Because we provide the best news of the military bases. Further, you can know about the different military bases of the US. I am very interested in this post, everyone should know it more, wish you success. The author of this post is admirable, it brings a lot of emotion to everyone reading it, let's share it more widely. As most of the western nations have reduced their inventories to a few or mostly one type of main battle tank model in their active inventories, the myriad of tank platforms and distinct versions employed by the Russian armed forces may feel overwhelming. Here is a quick guide to identifying Russian MBTs. When you come across an image (or the actual thing), follow the steps to identify it properly. So how can you identify what type of a tank are you looking at? After a flurry of rather disinformative “Tank Carousel” news from Russia the latest reportage from the Russian armed force tank exercise is much more interesting. At the beginning of August the handily named 90th Guards Vitebsk-Novgorod twice Red Banner Tank Division held it’s first divisional sized combat and live fire exercise at Cherbakul in the Chelyabinsk region. The 90th division, that is stationed in the Sverdlovsk and Chelyabinsk regions, was founded in 2016 and is one of the heaviest hitting Russian formations around. It has a similar structure as the 4th Kantemirovskaya Tank Division that is part of the 1st Guards Tank Army. 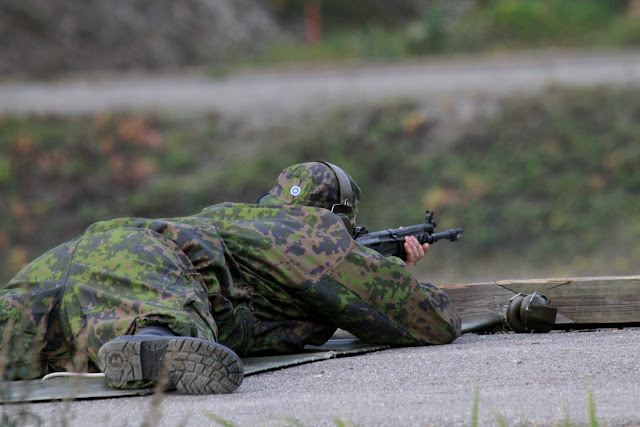 There have been very few times in history, when a peacetime military training exercise of a non-aligned country has carried as much weight as the recent Swedish Northern Wind 2019. The 10 000-soldier exercise was the biggest showcase of interoperability and co-operation the region has seen. The unscripted force on force exercise provided a perfect platform for two separate integration experiments. A Swedish/Finnish brigade was formed around a Swedish mechanized battalion. The joint brigade contained a 1500-man Finnish contingent. This was the largest military force Finland has sent beyond its borders since 1944, and it was gathered from several Finnish brigades and consisted mostly of conscripts. The combined Finnish and Swedish force with their heavy armor and artillery assets were assigned to delay and defend the northern Sweden from the other joint force coming from the north west.